Our collection of qualitative products is offered at the reasonable prices to our valued clients. These are designed as per the needs of clients with latest techniques using premium quality materials. 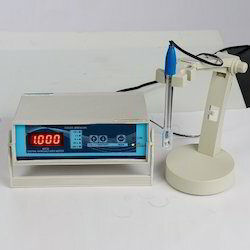 Our comprehensive collection includes Laboratory Magnifier, Manometer, Melting Point Apparatus, Melting Point Apparatus Automatic Digital and many more. Auto-off function: the meter shuts off automatically after 10 minutes of non-use to conserve batteries. Measurement Range: 0-9990 ppm. From 0-999 ppm, the resolution is in increments of 1ppm. From 1000 to 9990 ppm, the resolution is in increments of 10ppm, indicated by a blinking 'x10' image. Built-in digital thermometer Display: large and easy-to-read LCD screen. 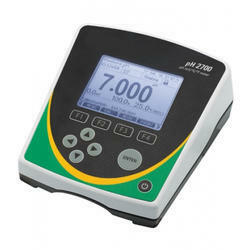 Factory Calibrated: our meters are calibrated with a 342 ppm NaCl solution. Meters can be recalibrated with a mini-screwdriver. Also available in "x10" mode: reads in increments only of 10 ppm (0-9990 ppm). Ideal for commercial use. Includes a carrying case with belt clip. Highly efficient and accurate due to its advanced microprocessor technology. Built-in digital thermometer Display: large and easy-to-read LCD screen. Environment: 0 to 50°C (32 to 122°F); RH max 95% Weight: 1.0 kg Product Contents: pH 209 is supplied with pH electrode, power adapter and instruction manual. 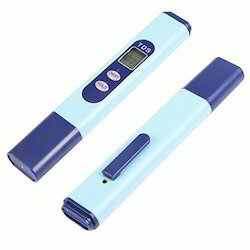 We are offering Digital Conductivity Meter to our clients. Features: The portable conductivity meter provides fast, accurate readings, with digital readability and the convenience of a remote probe separately. Multi-measuring ranges: 199.9 uS, 1.999 mS, 19.99 mS. DATA HOLD function for stored the desired value on display. Large LCD display for low power consumption & clear read-out even in bright ambient light condition. Used the durable, long-lasting components, including a strong, light weight ABS-plastic housing case. Compact size, designed for easy carry out & operation. Built-in low battery indicator. Applications: water conditioning, aquariums, beverage, fish hatcheries,food processing, photography, laboratory, paper industry, plating industry, quality control, school & college, water conditioning. This is Fuji Japan Analog Tachometer type revolution device to measure revolution per minute of engine, machine tools and motor, and moving velocity of belt conveyor with high accuracy. This is complete machine type without battery and 3 kinds of terminal are equipped. 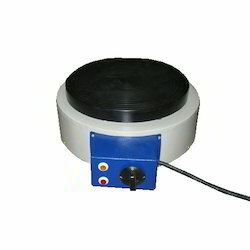 For our esteemed clients, we are engaged in offering an extensive range of Round Hot Plate. We design these chambers by utilizing of high-end technology and factory-tested raw material in line with nationally accepted standards. 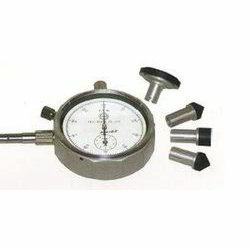 Our clients highly demand this range for its associated features like accurate dimensions and crack resistance. These chambers are made available with us in a variety of dimensions and other allied specifications as per of our clients. Our client can avail these chambers from us at market leading prices. 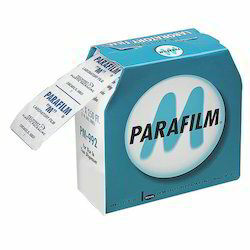 We are offering Parafilm to our clients. All purpose laboratory film is a versatile, moisture-resistant, thermoplastic flexible plastic for a wide variety of applications. A proven fast, economical covering or stopper for test tubes, beakers, vials, petri dishes, flasks, and various instruments with irregular surfaces. 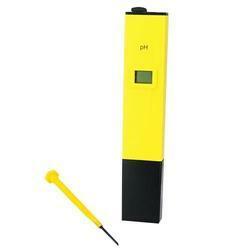 We are offering PH Meter to our clients. Looking for Laboratory Meters ?